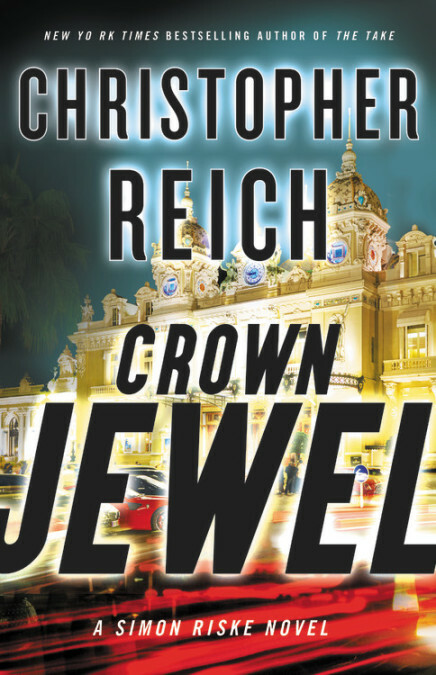 Christopher Reich’s readers will scarcely have had a chance to catch their breaths since the barrel-over-the-waterfall climax of his previous Simon Riske novel, The Take, and that’s their tough luck, because a new Simon Riske book is upon is: Crown Jewel drops readers almost immediately into the glittering world of high-end Monte Carlo casinos. In scarcely ten paragraphs, our stalwart hero is chasing down a card-sharp cheat and hurling himself into the kind of nonchalant derring-do that’s won him an international reputation as one of the best at whatever the hell it is he does. In Crown Jewel, those glittering Monte Carlo casinos are having a bit of trouble: one of them reaches out to Simon Riske because recently the house has been losing hundreds of millions of dollars, and their own in-house security experts are baffled. Customers just seem to be winning more often, and naturally, such a travesty cannot be allowed to continue. When Simon Riske isn’t leaping over tables or flinging his steely glance in all directions, he spends his free time fine-tuning expensive automobiles (you were expecting stamp collecting? ), and yet despite this, the owner of the afflicted casino, who just happens to be the Duke of Suffolk (when Reich casts about for a currently-unused peerage title, he doesn’t footsy around with lesser rungs on the ladder), asks Riske to go to investigate. To his credit, Riske himself points out how ludicrously unqualified he is for such a job, but this doesn’t slow matters down for even a single paragraph. Can’t have a Simon Riske thriller without Simon Riske, now can we? Nothing revved his juices more than a little physical violence, even if he had been on the losing end of it. All measure of good sense had gone out the window the moment he’d given chase to the cheat. At that instant, his world had boiled down to him versus the bad guy, good versus evil, though it was a question of his ego run riot, not anything so grandiose as maintaining the universe’s order. Mess with me and you’re going to pay. It was as simple as that. Crown Jewel takes its readers on many hairpin turn at breakneck speed, but in the end, things really are as simple as that. Readers of this kind of book expect nothing less, but the honest truth is that a great many of the current crop of such books don’t always manage to deliver even on their own very simplified terms. These first two Simon Riske novels deliver. Here’s to many more.